My husband and I purchased this property and raised our family in this home. Throughout the years, the home has been completely remodeled to include a pool, spa, two master suites and gourmet kitchen. It has been an ideal home for family gatherings and entertaining. 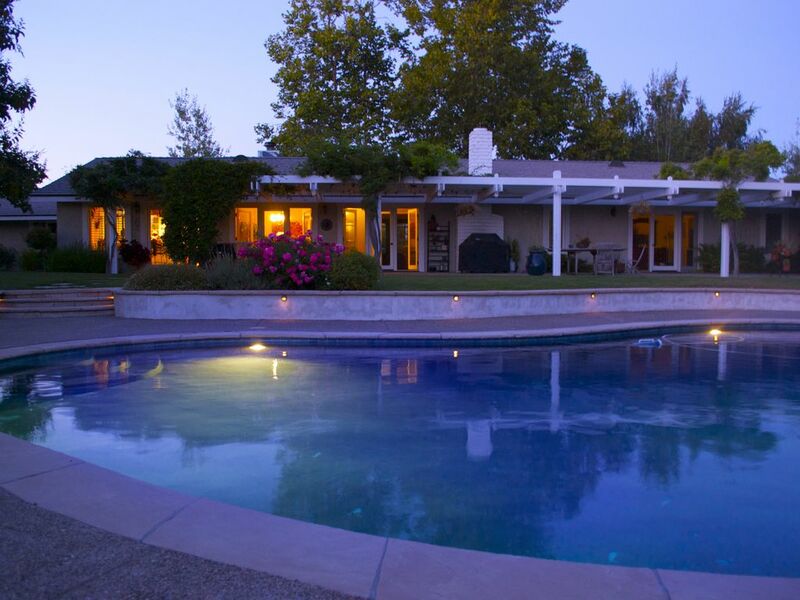 The home is centrally located in the Santa Ynez Valley; close to all wineries, tasting rooms, restaurants and the Chumash Casino. The home is tastefully decorated with a warm family feel. Nice sitting area with outdoor TV. The pool is only heated during the summer months. We had a great time at the property. Kids really enjoyed the back yard. Great place to hang with family and friends. This was a beautiful property to spend time with family and friends. Thank you, we will be back. Wonderful place to stay. My girlfriends and I had a great time. House was beautiful. Would definitely stay here again! Beautiful home and lovely backyard. What a nice property. The location is fantastic and the accommodations first rate. Our group of 6 enjoyed the gourmet kitchen and the comfy beds. The pizza oven and backyard were lovely. Unfortunately it was a little cool this January so we spend more time indoors. Would love to visit in the warmer months. The house was great, beds were comfortable and amenities were vast! Connie and here home were the perfect hosts for our weekend in Santa Ynez. Everything was comfortable, cozy and clean and we appreciated all the instructions for operating the other amenities (tv, hot tub, fire place). For anyone looking for a great house in the area for wine tasting, golf, central coast exploring or otherwise, I’d highly recommend this house. Close to many wineries and tasting rooms. Sorry, No Pets, No Smoking and No RV's or Motor Homes Allowed. This rental property is only for 8 or less people. We do not allow any parties or gatherings for any other people outside of the guests renting the property.